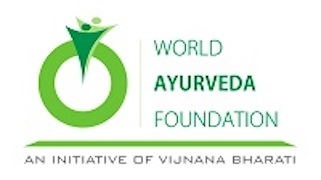 Founded in 2011, the World Ayurveda Foundation (WAF) is an initiative by Vijnana Bharati aimed at global propagation of Ayurveda. As part of a larger intellectual movement under the aegis of the Swadeshi Science Movement undertaken by Vijnana Bharati, WAF is a platform that would take Ayurveda to the world for all the benefits mankind can draw from traditional health sciences. The AVP Research Foundation (AVPRF) is a Section 25 Not for Profit Company that primarily engages in research activities in the field of Ayurveda. In addition, AVPRF also offers specialized clinical services and educational programs in relevant areas. AVPRF is inspired by and built on the foundational work done by the AVT Institute for Advanced Research (AVTAR) over a period of nearly one decade. AVP Research Foundation is recognised as a Scientific and Industrial Research Organisation (SIRO) by Department of Scientific and Industrial Research (DSIR),Ministry of Science and Technology, Government of India. 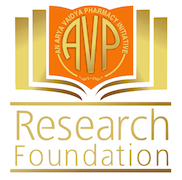 AVPRF is a subsidiary of Arya Vaidya Pharmacy (Cbe) Ltd. AVPRF engages primarily in research activities but also offers specialised educational and clinical services. The National Institute of Ayurveda was established on 7-2-1976 by the Government of India as an apex Institute of Ayurveda in the country to develop high standard of teaching, training and research in all aspects of Ayurvedic System of Medicine with a scientific approach. 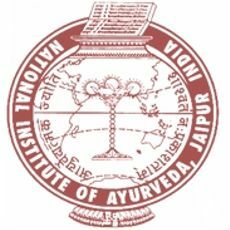 The Institute is engaged in Teaching, Clinical, Teaching and Research at Under-Graduate, Post-Graduate and Ph.D. level and is affiliated to Rajasthan Ayurveda University, Jodhpur. Admission to UG Course of BAMS is done on the basis of an All India Entrance Test conducted by the University. Admission to PG Course is made on the basis of an All India Joint PG Entrance Test conducted by NIA and IPGTRA(alternatively). 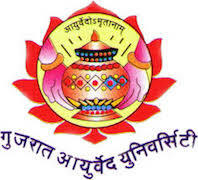 IPGT & RA is an integral part of Gujarat Ayurved University which offers Post Graduate and PhD levels of education in Ayurveda, Ayurvedic Pharmacy and Medicinal Plants. This institute is fully financed by Govt. of India and administered by University as per Gujarat Ayurved University Act 1965 as amended in 2003. The work force developed by this Institute forms the backbone of Ayurvedic Teaching, Research and Administration in India. In 1977, this Institute has been recognized as collaborative center of WHO for Ayurveda. Students from Sri Lanka, Nepal, Bangladesh, Maldives, Mauritius, etc. are studying in P.G. & Ph.D. courses. Top rating has been given to this Institute by Dept. of AYUSH in it’s internal grading. This Institute is Re-Designated as WHO collaborating centre for Traditional Medicines (Ayurveda).